This classic Roman design resembles a heart lying on its side. The perfect size for light weight underdresses, overdresses and sleeves. Carlo Crivelli's paintings from the late 15th century shows examples of these types of clasps as lacers on bodices and sleeves. There are other paintings showing this type of clasp on men's doublets and jerkins as well. 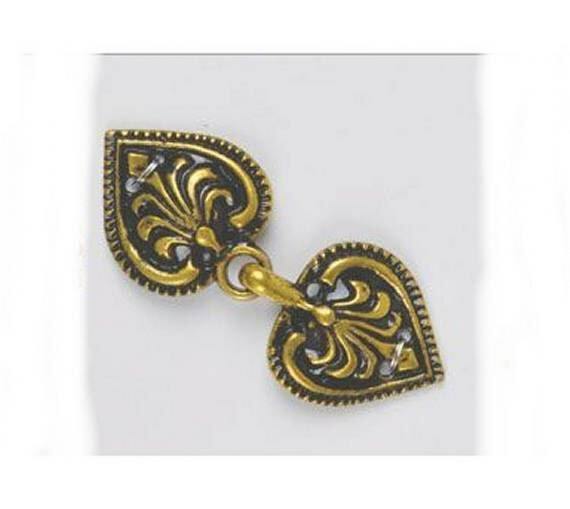 This listing is for garment clasps at $5/each set. 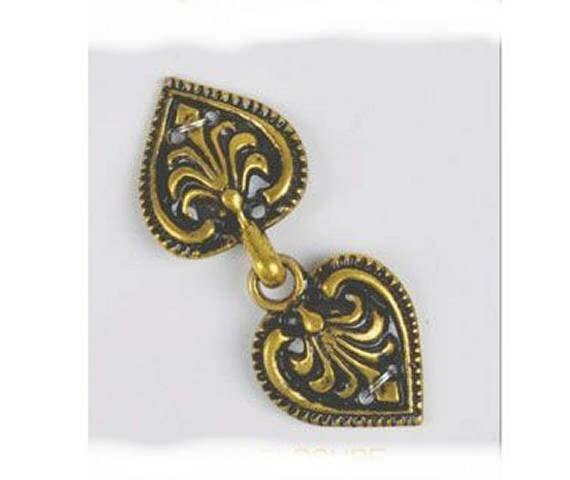 They are dark Antique Gold Clasps that measure 2 1/4" overall in length when connected. Stock pictures - Actual clasps are not as shiny!